iPro Software is an online Property Management System (PMS) for holiday letting administration. We work with a range of small to large companies - whether you run a small boutique hotel, self catering property, B&B, or a group of property rentals or holiday parks, you can access your entire property portfolio from one integrated software solution. The iPro property management module allows you to maintain and manage your properties at anytime, and anywhere. This gives you complete freedom and flexibility. Easily track all of your bills and property expenses. Gather and analyse this data to create a broad picture of your management fees per vacation rental. In order to achieve ultimate guest satisfaction, our software allows you to manage and plan-for cleaning and routine property maintenance. This ensures each property remains in prime condition at all times. Keep on top of changeover times, housekeeping staff and service charges required to maintain each property. These may be routine practices, or additional housekeeping or concierge charges needed or requested for by guests. Whether you own a large or small number of holiday lettings, our crm property management software will allow you to easily coordinate and manage all guest and contract workers who will need access to the property. To find out more about how this system helps nurture prospects into customers, manages contacts and provides a secure property booking system, see our Booking Management System page. 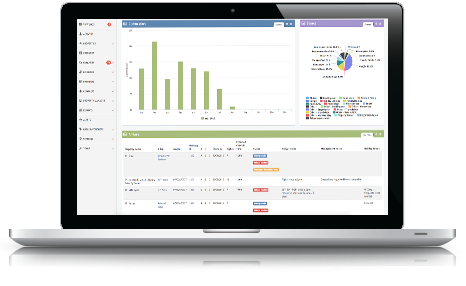 Are you curious to find out how the iPro property management software could work for you? Then get in contact with the team today, or book a free demo here! We’d love to hear from you.